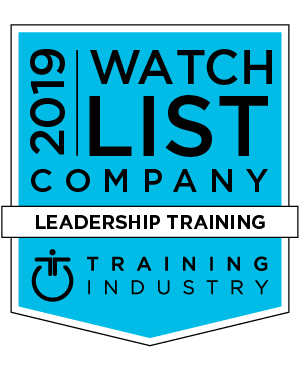 TTA has been named to the 2019 Leadership Training Companies Watch List by Training Industry, Inc.
“The development and delivery of leadership training continues to be a big component in our business as corporations are acutely aware of how these soft skills are key competitive differentiators,” said Keith Gibson, Vice President of Business Development. 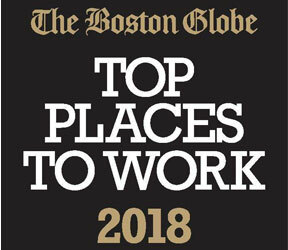 TTA has been named one of the 2018 Top Places to Work in Massachusetts in the 11th annual employee-based survey project from The Boston Globe. The Top Places to Work recognizes the most admired workplaces in Massachusetts voted on by the people who know them the best – their employees. The survey measures employee opinions about their company’s direction, execution, connection, management, work, pay and benefits, and engagement. The employers are placed into one of four groups: small, with 50 to 99 employees; medium, with 100 to 249 workers; large, with 250 to 999; and largest, with 1,000 or more. 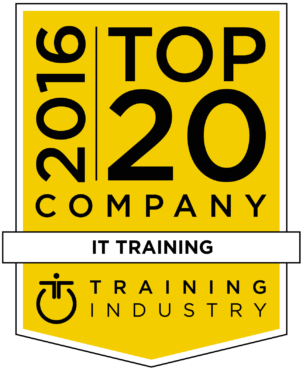 TTA was ranked among the top employers in the small category. 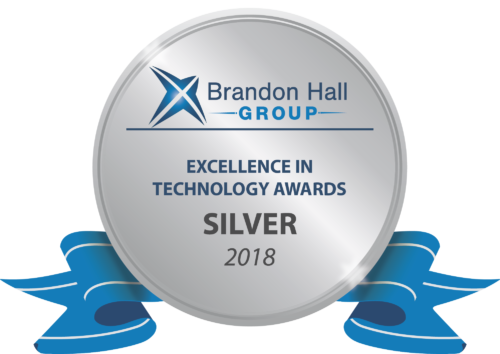 TTA Has Been Selected as a 2018 Top 20 IT Training Company by Training Industry, Inc.
TTA has won the 2018 Brandon Hall Group Silver Award for Excellence in Technology in the category of Best Advance in Onboarding Technology. 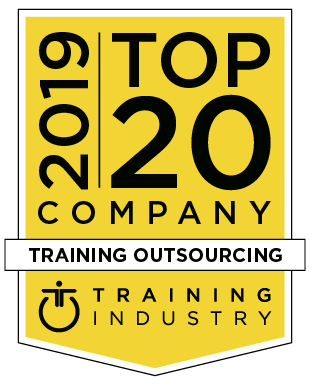 “We are focused on helping drive innovation for our clients, and we do the same for ourselves internally, so having state-of-the-art onboarding technology and practices in place is critical to TTA’s ongoing success and emphasis on having a culture of engaged employees. And engagement starts with the first contact prospective employees have with us, so we cannot overemphasize enough the value and importance of effective onboarding,” said Maria Melfa, TTA’s President and CEO. TTA’s co-founder, and current leader with the roles of President and CEO, Maria Melfa has been focused on ensuring that the organization lives up to standards of excellence that deliver transformational results for our clients. And key to that is building an internal culture of innovation and engagement that Ms. Melfa has fostered. As TTA’s President and CEO, Ms. Melfa is also passionate about the company culture and employee engagement, believing that happy employees will deliver exceptional service to our clients. Maria is dedicated to driving innovation and change, which has greatly contributed to TTA’s success. 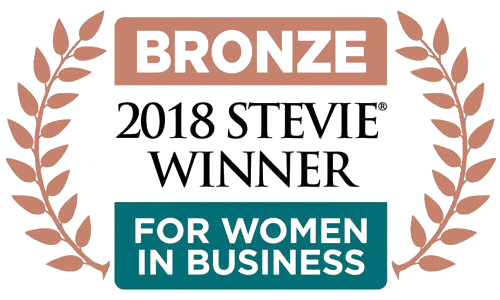 Receiving the 2018 Stevie Award for Women-Run Workplace of the Year is the validation of Ms. Melfa’s dedication to creating an engaged and innovative workplace where people thrive. “I am grateful for the efforts that our people make every day in delivering value to our clients, which is why I am so dedicated to creating an effective organization where people feel appreciated and thrive, “ said Ms. Melfa. The TTA Marketing team has been named the Marketing Team of the Year Gold Winner and received the 2018 Golden Bridge Business and Innovation Award for all of their accomplishments over the past 12 months. 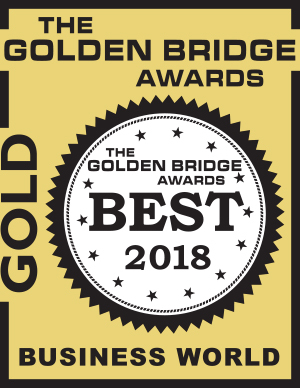 The coveted annual Golden Bridge Awards program encompasses the world’s best in organizational performance, innovations, products and services, executives and management teams, women in business and the professions, innovations, best deployments, product management, public relations, marketing, corporate communications, international business, and customer satisfaction programs from every major industry in the world. TTA’s VP of Marketing Jasmine Martirossian has been named the Marketing Executive of the Year Bronze Winner and received the 2018 Golden Bridge Business and Innovation Award for her accomplishments over the past 12 months. 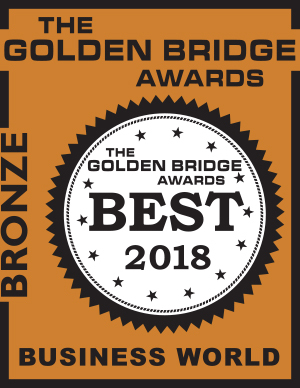 The Golden Bridge Awards program encompasses the world’s best in organizational performance, innovations, products and services, executives and management teams, women in business and the professions, innovations, best deployments, product management, public relations, marketing, corporate communications, international business, and customer satisfaction programs from every major industry in the world. 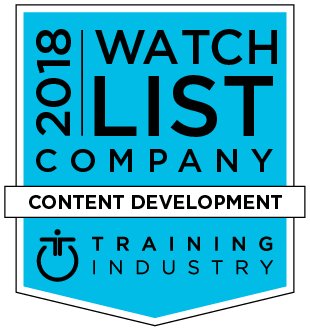 Named to the ‘2018 Content Development Companies Watch List’ by Training Industry, Inc.
We’ve received another award, as TTA was recognized as one of the top global companies that provides content development services. 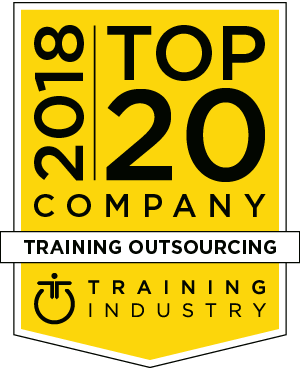 Named a ‘2018 Top 20 Outsourcing Company’ by Training Industry, Inc.
“We are delighted to be named among 2018 Training Outsourcing Top 20 Companies. 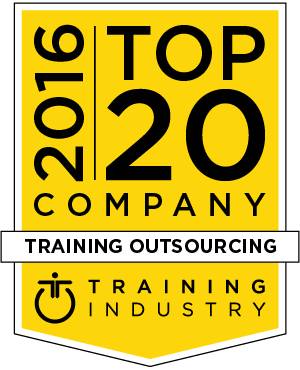 Our role in the area of outsourcing is critical to delivering value to our clients and facilitating the growth of their businesses. 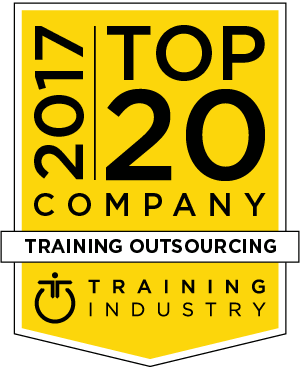 Outsourcing is a model that is here to stay and we are glad to be in this area,” said Maria Melfa, CEO of The Training Associates. 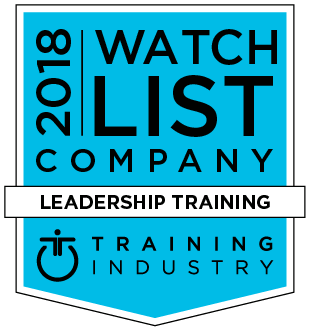 Named to the ‘2018 Leadership Training Companies Watch List’ by Training Industry, Inc.
“Companies rely on us for our ability to develop and deliver customized leadership programs that fit their unique needs. Leadership training is a major component of our business, and clients chose TTA for our agile approach,” said Maria Melfa, CEO of The Training Associates. 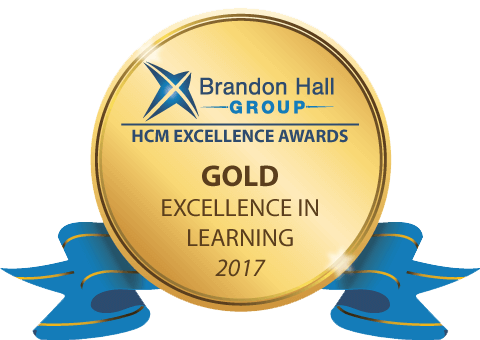 Recipient of Brandon Hall Group 2017 Gold Award for Learning Excellence. We won the coveted 2017 Brandon Hall Group Gold Award for Best Results of a Learning Program for Leadership Training. We received this award due to our collaborative effort with the Girl Scouts of Kentucky’s Wilderness Road Council, for the transformation of its antiquated and stagnant legacy culture to one of innovation, leadership and strength. 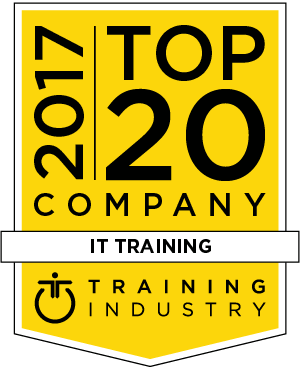 Included in the overall learning solution were employee needs assessment and evaluation tools, leadership development tools, intergenerational training models and techniques, strengths assessment, and development tools. 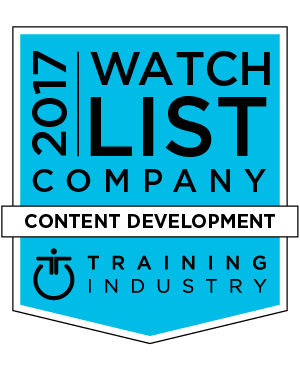 Named to the ‘2017 Content Development Companies Watch List’ by Training Industry, Inc.
9 years in a row being named a Top Training Outsourcing Company, ho-hum. Want to know how we keep doing it? Read below.